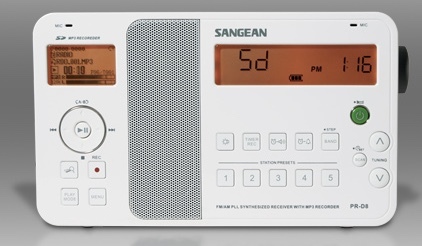 I came across a new product from well known radio producer Sangean: the Sangean TR-108. I believe this is a successor to Sangean’s well-known Sangean PR-D8, which I had and which was great. It seems like this one is currently only produced for the Asian market though. It would be great if they would produce a version for Europe/America as well. I am sure it would sell well. Anybody heard anything about this product? Click here to view details on the Sangean website. Thanks for your message Ante, especially since I was unfamiliar with either model. The Sangean PR-D8 had a very unique design with split recording and radio functions on the front panel. Indeed, I don’t think I’ve ever seen anything quite like it. C.Crane sold them, but they now appear to be discontinued. There aren’t any currently on eBay, either (though one did recently sell for $100 shipped). I read a Google Translate version of the Sangean TR-108 spec sheet. Sadly, I think the TR-108 lacks the AM (mediumwave) band–FM only–so it might not be a direct replacement for the PR-D8. Plus, the TR-108 recording function doesn’t appear to be as full-featured as that of the PR-D8. Still, I like how the TR-108 buttons appear to have raised, tactile dots for those who are visually-impaired. Looks to be pretty compact as well! Post readers: please comment if you have more information to share about the Sangean TR-108 iTalker. This entry was posted in AM, FM, New Products, News and tagged Ante Milisa, Digital Recording Radios, FM, Sangean PR-D8, Sangean TR-108, Sangean TR-108 iTalker on August 11, 2017 by Thomas. Thank you for the comments. I think the band button is because they provide several FM band types, from 67.0 onward. If I buy it (not speaking Chinese) do you think I should be able to follow basic instructions for radio recording, etc. Not really new. It’s been here in Taiwan for a while now. 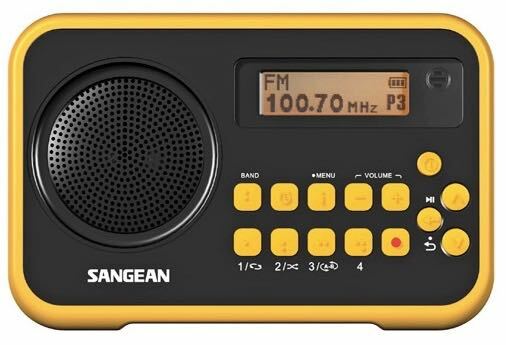 I notice that the TR 108 is not yet listed in the Sangean English language website. Here is a translation of the Specifications and Description from the Sangean Taiwan website. If the new TR-108 is FM only, why would it have a ‘Band’ button on the front?